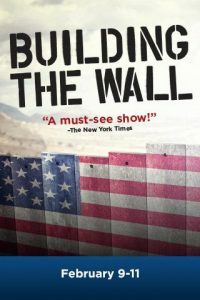 BUILDING THE WALL lays out in a harrowing drama the consequences of President Trump’s anti-immigration campaign rhetoric turned into federal policy. Two years from now, that policy has resulted in the mass round-up of millions of illegal aliens, with their incarceration overflowing into private prisons and camps reminiscent of another century. The former warden for one facility is awaiting sentencing for what happened under his watch. In a riveting interview with an historian who has come seeking the truth, he gradually reveals how the unthinkable became the inevitable, and the faceless illegals under his charge became the face of tragedy.